Here I am... long lost girl that I am these days from my Blogger page! Either been at work, on a week long course or just plain AWOL!!! First photos of course! 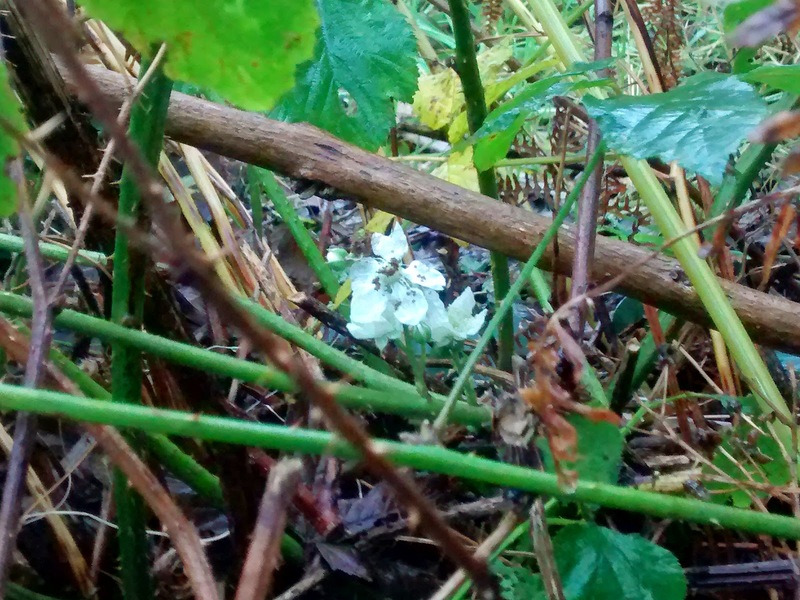 And above I noticed yesterday morning a bramble still very much in full bloom, so will we be seeing blackberries again this year! Remember the single blackberry in January this year! Temperatures have been so high still for this time of the year.... Away last week in Alcester, we were hitting 18degrees most days and 22 on one day!!! And me in my new winter parker! lol... The hottest Halloween on record, so 'they' say! 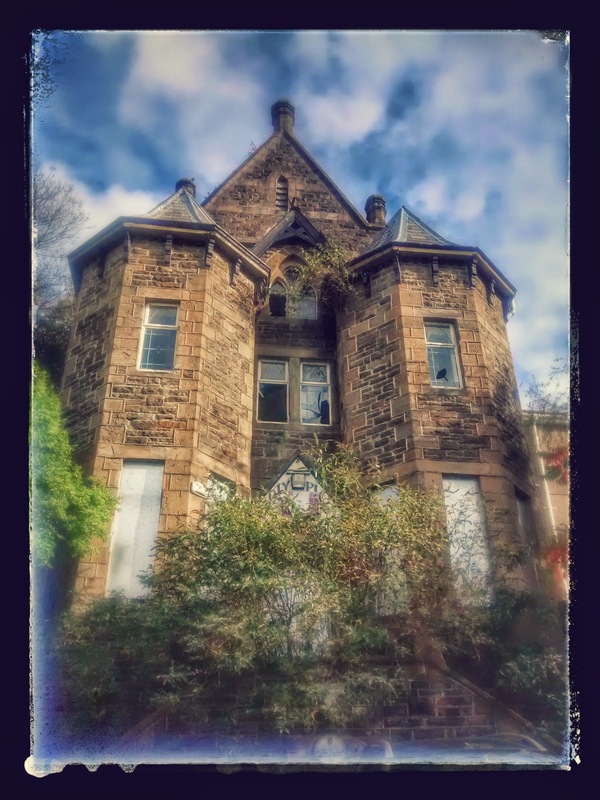 This amazing house is in Merthyr Tydfil, it stands proudly at the top of a steep road away from the high street, I saw it from the main road and just had to walk all the way up to the top and take this photo! And with a little help from various add ons on my phone and computer this is the final outcome! Maybe I should post the original too!!?? This house would be outstanding brought back to its former glory! 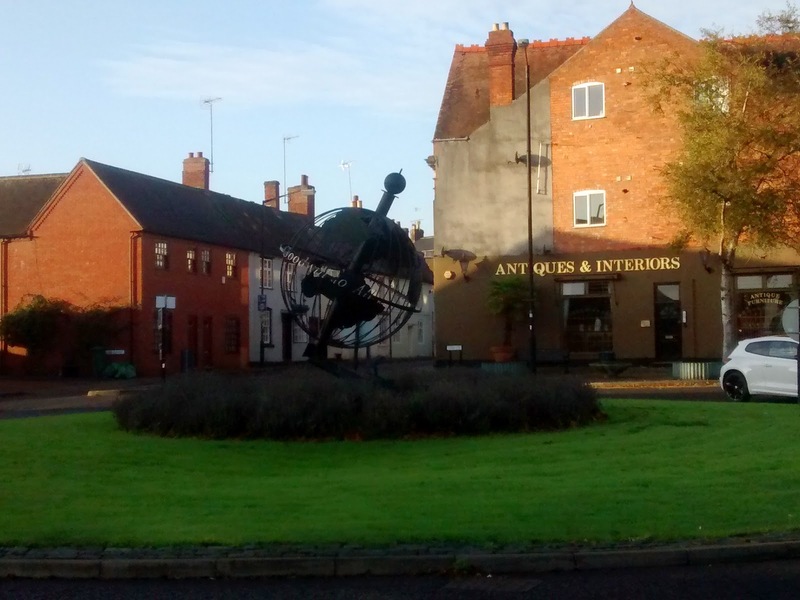 This wonderful globe in the centre of the town of Alcester, it says 'Goodwill to all'.... Had a great weeks course, it was strange to begin with, not as I was expecting it, shared accommodation, so suddenly living with three women who you don't know at all! Started with two, then we became three, and the following morning we were the Ace Team of four wonderful friends and seems strange not being in their company now! We shared the room, a good room, I think the barn originally of an old house, on the first floor, with all the normal facilities, very comfortable really, except the squeaky beds! lol We also sat together each day for training and for lunch!! Yep, pretty much joined at the hips!! 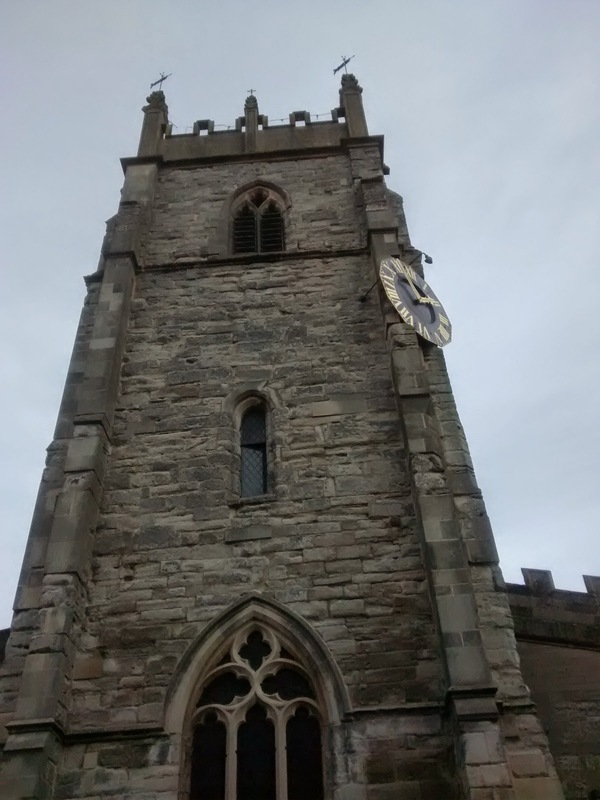 The unusually placed clock face on the church at Alcester... it faces down the high street by the way!! 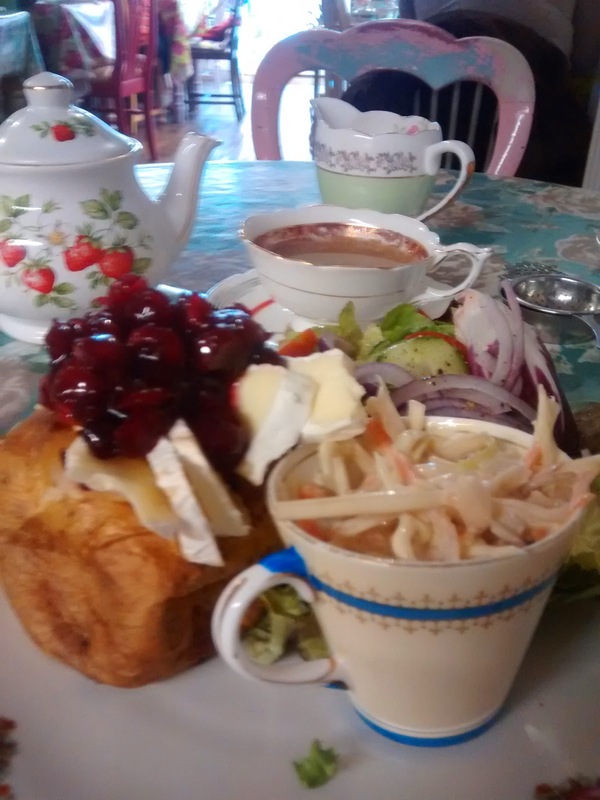 Sorry, this isn't the course lunch, but the lunch I had on the Sunday when I arrived, early of course, and at in the very very lush Vintage Tea rooms of Orangemabel! Every tea cup, saucer, milk jug and tea pot un-matched! Individual tables and chairs, the staff were wonderful and the food all looked very well presented and tasty... above, I had a jacket potatoes with brie and cranberry's, with a side salad and coldslaw! Mmmmmm! Is two and a quarter hours to far to go for lunch?? Now I am off out, I will be back soon, I promise amigos!